Results of Selby Town F.C. A thrill in the last minute in the 2-2 draw with Winterton. Selby Town blew off their Chrsitmas tinsel with a deserved win. The Robins win a game spoiled by very windy wet conditions. Selby Town 3 v 2 Maltby Main writes Tommy Arkley. 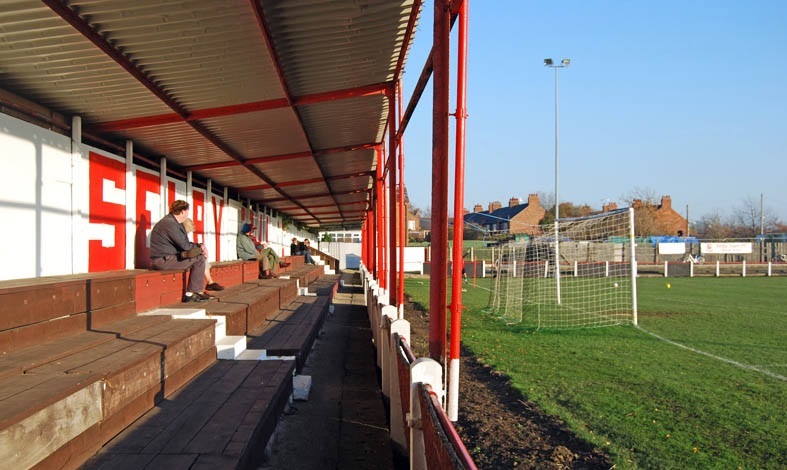 Arnold Town played host to Selby Town for a draw. The Robins lost the match after extra time. The team passed to the next round with ease at Willington, winning 4 goals to nil. Selby Town had the hardest game of the round to qualify for the FA Series. Unfortunately the Robins lost track in their league campaign. Selby Town's assault on the leaders took a massive blow. Selby finished up lucky to come away with a point. The Robins successfully progressed in the league cup.